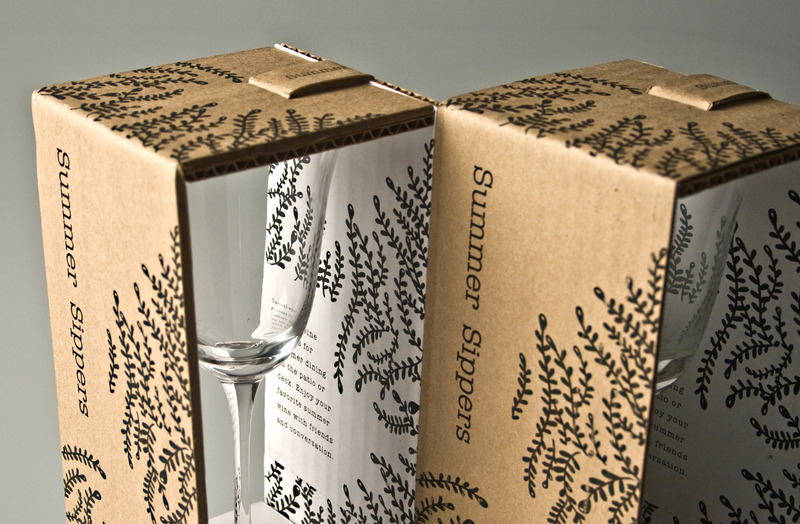 Summer Sippers is a minimalistic wineglass packaging with a small usage of cardboard. 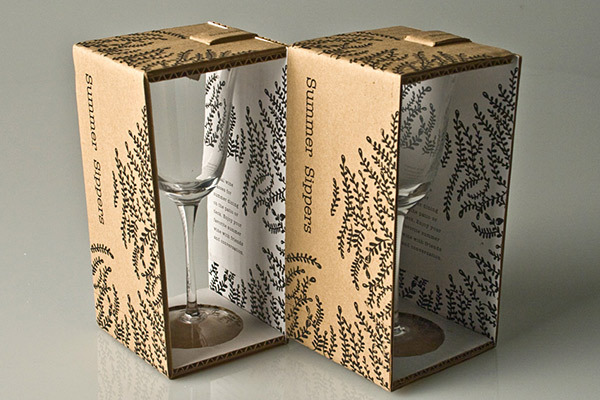 The cardboard packaging has notches on the top and the bottom, which keeps the wineglasses from moving. 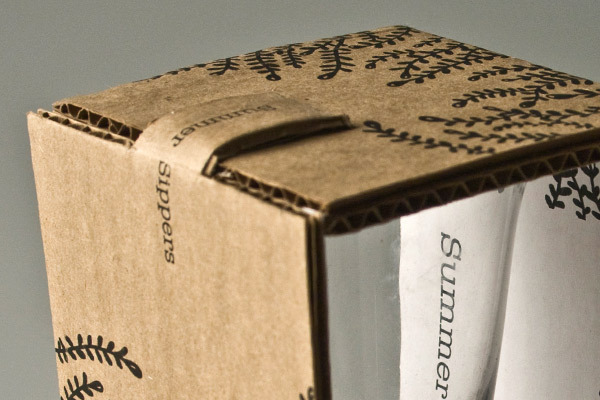 These notches allow the side structure of the packaging to be open without additional support. 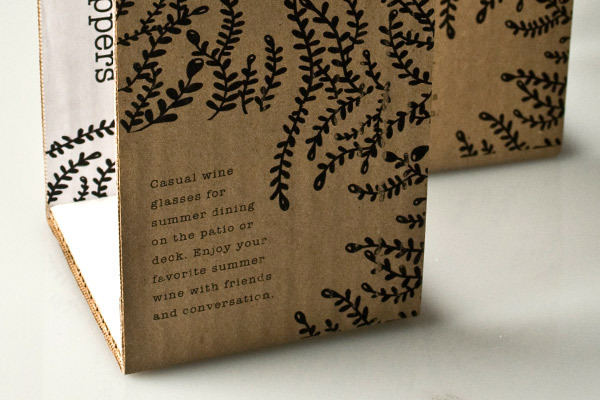 The unique design of this packaging is that it comes in pairs with perforation. 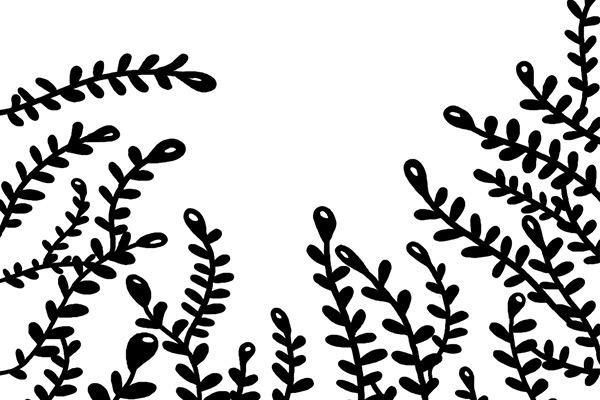 Therefore, if you need to take one wineglass home, you can simply tear it apart and take a single wineglass home as opposed to committing to a pair. Recognition Presented on "bunjupun", "thedieline", "studentshowcase", and "Coroflot".